Welcome to Bob Evans Equipment, Inc.
Bob Evans Equipment sits just south of San Augustine on US Highway 96 and is ready to provide sales, parts, and service for Kubota tractors, mowers, and utility vehicles; STIHL chainsaws, trimmers, and blowers; hay-rakes, and tedders; RhinoAg mowers, blades, tillers, post hole diggers, and MUCH MORE! The Kubota RTV 1140 2-seat utility vehicle is now in stock! Come by and check out this new entry to Kubota's lineup of RTVs. 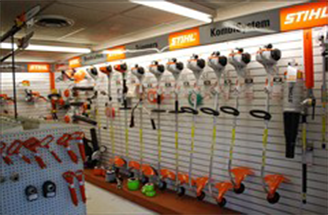 We can also furnish other items, such as pasture sprayers and accessories, for the lines we carry. Having served this area for 40 years, we have established a reputation for fair and honest performance. We are extremely proud of this reputation and will make every effort to maintain it. We were the recipient of the 2008 Business of the Year award from San Augustine Chamber of Commerce. We also invite you to visit the Company Info section to learn more about our business.